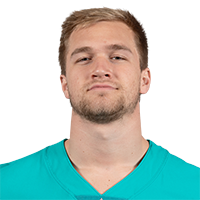 General manager Chris Grier said the new coaching staff has spent a lot of time discussing how to best use Gesicki in 2019, Joe Schad of The Palm Beach Post reports. Gesicki caught one of two targets for 18 yards during Sunday's 42-17 loss to the Bills. He finishes the season with 22 catches for 202 yards. Gesicki caught his only target for five yards during Sunday's 17-7 loss to the Jaguars. Analysis: Gesicki has now caught four passes across his last five games. 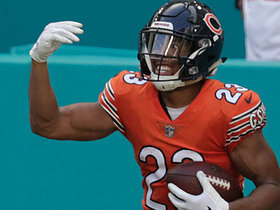 The rookie second-round pick has showcased his potential as a red-zone threat on limited occasions this season but has yet to put together anything close to resembling a complete game. Gesicki is not worth fantasy attention outside of dynasty formats. Gesicki caught two of three targets for 23 yards during Sunday's 41-17 loss to the Vikings. Analysis: Gesicki was the only tight end on the Dolphins' roster to record a catch Week 15, but he was once again unable to put up notable fantasy points. 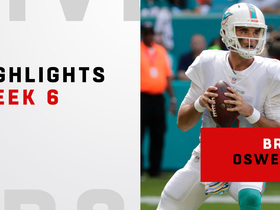 In Miami's low-octane passing offense -- Ryan Tannehill completed only 11 of 24 passes for 108 yards without a touchdown during Sunday's loss -- Gesicki remains off the fantasy radar. The 23-year-old is an intriguing dynasty prospect but not worth rostering in most other formats at the moment. Gesicki was not targeted during Miami's 21-17 win over the Bills. Analysis: Gesicki did not record a single offensive statistic during Miami's Week 13 victory. 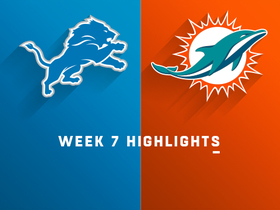 The rookie tight end has only been targeted three times throughout the Dolphins' last four games and will remain off the fantasy radar heading into Sunday's divisional tilt against the Patriots. 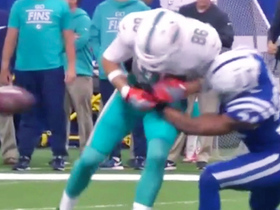 Gesicki brought in his only target for five yards and fumbled once during Miami's 27-24 loss to the Colts on Sunday. Analysis: Gesicki fumbled late in the second quarter, ending Miami's attempt at a two-minute drill on the first play of the drive. The rookie second-round pick has gone three straight games without recording more than one catch, and has surpassed 50 receiving yards just once this season. Gesicki remains an intriguing dynasty prospect, but is unlikely to achieve much fantasy relevance this year. Gesicki brought in his only target during Sunday's 31-12 loss to the Packers. Analysis: Gesicki saw less offensive snaps (20) than fellow tight ends A.J. Derby and Nick O'Leary, and received only one target for the second straight week. It's hard to imagine the rookie second-round pick putting up big numbers while splitting snaps in Miami's mediocre passing offense, but Gesicki remains a key part of the Dolphins' plans for the future. Gesicki did not catch his only target during Sunday's 13-6 win over the Jets. 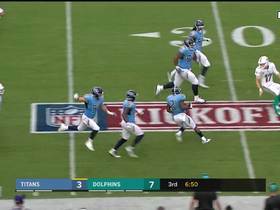 Analysis: Gesicki was the target of quarterback Brock Osweiler's only pass to the tight end position Week 9, but he failed to reel the ball in. The rookie has not put up a goose egg since Week 2, also a contest against the Jets, during which he was not targeted. Gesicki will look to bounce back during Miami's tilt against Green Bay on Sunday, in which the Dolphins' passing offense may see more volume. 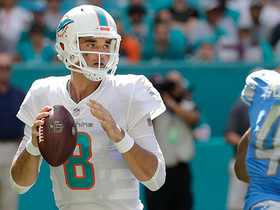 Miami Dolphins QB Brock Osweiler finds tight end Mike Gesicki for a 27-yard catch.